Lock in a great price for No.14 Hostel – rated 9.2 by recent guests! Nice and quiet, cozy atmosphere! Everything you need! 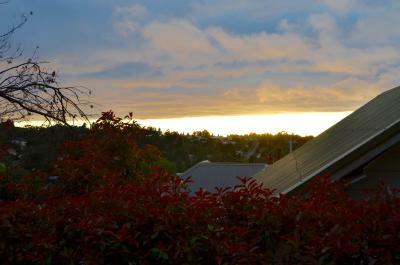 Within walking distance to the Blue Mountains!! Cosy, friendly. Lovely building and finishes. All amenities provided. Nice and quiet at night, as advertised. Nice staff with lots of info on the treks around. This hostel is in a perfect location, only a few minutes walk from the supermarket and about 40 mins from echo point (but there is a bus). The staff were so friendly and were able to provide all the information and maps for the walks that I wanted to do. The free breakfast and milk was very useful and the fact that the hostel was so small meant it had a much more homely feel compared to all of the other hostels I stayed in. I think it was the perfect base to relax after a day of hiking! Not sure I can rate the place any higher. The staff were lovely, the facilities were excellent and it was a very quiet, relaxed and comfortable stay. They are super organised and very happy to help with any enquiry. The kitchen is well equipped, the 10pm quiet hours are followed and it's lovely. The bathroom is shared, but plenty of facilities. Absolutely lovely. Place is so relaxing and quiet. Hostel doesn't have TV so you can forget everything and take time to enjoy the nature. Good location, very nice managers. Happy vibe due to young travelers. 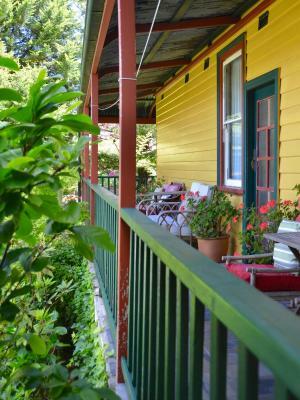 Offering free WiFi, No14 is just 1,800 feet from Katoomba Railway Station. It features a cozy guest lounge, a lovely garden and a sunny terrace. Located in the Blue Mountains, No14 is 5 minutes’ drive from Echo Point and the world-famous Three Sisters. Wentworth Falls is a 10-minute drive away. No14 offers shared and private rooms with wooden floors, bed linen and access to shared bathroom facilities. The breakfast included in the room rate is a choice of cereals with milk, tea and coffee. The large communal kitchen is also available for you to use if you would like to buy other supplies from local supermarket. All rooms have a designated storage area in the communal fridge and cupboard shelves. There are a range restaurants and cafes within a 10-minute walk. Katoomba town center offers several shops and services. 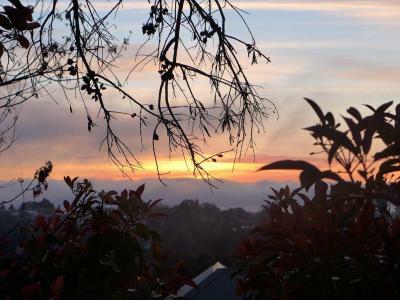 뀐 Located in the top-rated area in Katoomba, this property has an excellent location score of 9.0! When would you like to stay at No.14 Hostel? This dormitory room features access to shared bathroom facilities. House Rules No.14 Hostel takes special requests – add in the next step! No.14 Hostel accepts these cards and reserves the right to temporarily hold an amount prior to arrival. This property cannot accommodate children under the age of 12. Please note for bookings of 6 or more guests, different policies and procedures may apply. For further information please contact the property in advance, using the contact details found on the booking confirmation. All guests must sign the property's Terms of Stay. The property will be in touch after booking to provide these. Please inform No.14 Hostel of your expected arrival time in advance. You can use the Special Requests box when booking, or contact the property directly using the contact details in your confirmation. Noisey in terms of paper thin walls, old timber floor boards creaking however I guess this is to be expected from that type of accomodation that did also bring with it some charm. Parking was very easy. Comfortable for 2 night stay. I thought the hostel was great value for money. Cosy, clean , peaceful. Kitchen has everything you need. 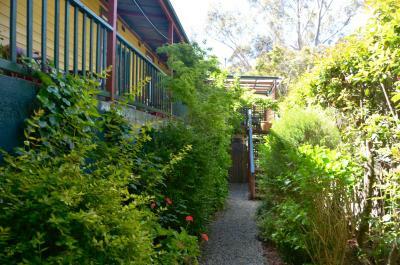 The perfect place to stay in katoomba for a peaceful laid back time. Perfect for people wanting to hike and sleep well at night. 10 minute walk to the town. Owner is lovely and welcoming. Would 100% stay again. A shoes off policy inside the house would be a good idea. Early risers trumping up the hall in shoes tended to wake others, earlier than might be desired. Great old guest house atmosphere. Casual but attentive service and very professional. Good location - a guest house / hostel that has been lovingly restored. Friendly staff and welcoming accommodation. Friendly and helpful staff. Good breaskfast. Comfy bed. Value for money. Though people are quiet it is an old house and thus you hear every step at night(need earbuds). Lovely and clean, friendly staff, felt like they really cared. Lots of cute little touches like donations to charities! Decent beds with comfy pillows and emphasis on being relaxed and quiet- great if you want to hike from early morning! Cosy place ! And most importantly, very good advice on the walks around ! Everything about the hostel was great. Very close to everywhere, comfy bed, quiet at night, spotlessly clean, breakfast simple but adequate, staff couldn’t be more helpful. Good value for what we paid. The hosts are super friendly and help along with very good tour recommendations. They're creating a cozy and warm atmosphere. The hostel itself is very quiet and very neat and nicely decorated. 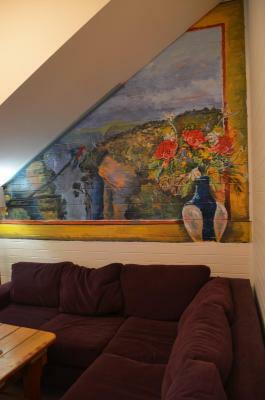 Especially the paintings next to the staircase. The kitchen is very well equipped and I liked the idea of having individual baskets per room to keep things separated. We would definitely come back. It is definitely noisy (but they do say that on the website), and you can hear every conversation and move in the surrounding rooms. Breakfast is poor, considering the price, and you have to pay extra for bottled water and make a donation for towels. No toiletries provided, which is unusual, but again it says on the website. Minor stuff. Very clean, warm and cosy, comfortable bed, friendly, and the owner was great helping me find local busses and things to do. My room (a double) was huge! Located the away from the main Katoomba high street but not far to walk into the town or to the train station so the area was very quiet.